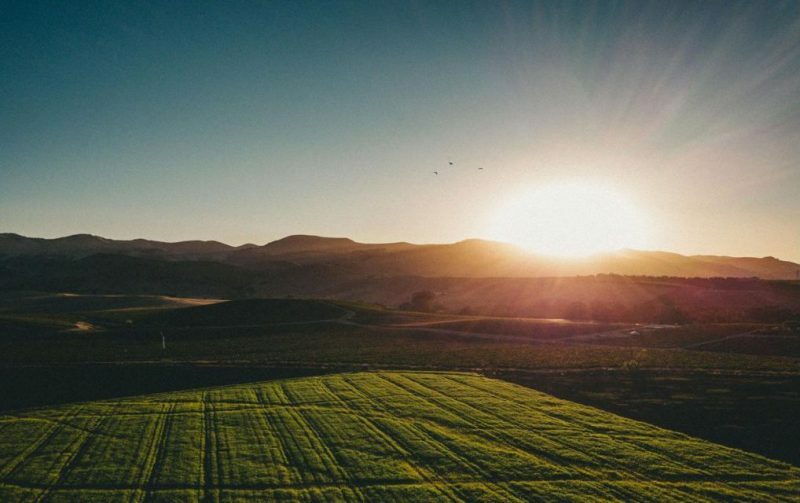 Carbon farming is agriculture's answer to climate change, and involves implementing farming practices that are known to improve the rate at which carbon dioxide is removed from the atmosphere and converted to plant material and/or soil organic matter. Carbon farming is successful when enhanced land management and/or conservation practices results in more carbon being sequestered than emitted. Working landscapes have a significant role to play in reducing greenhouse gas (GHG) emissions and mitigating global climate change, particularly through the sequestering of atmospheric carbon in soils and vegetation. In addition to their carbon-related benefits, well-managed working lands confer significant benefits related to increased water holding capacity in soils, water quality, biodiversity and other positive environmental impacts. By bringing agriculture to the table as a climate change solution, rather than as a GHG emitter, carbon farming offers producers an exciting avenue of constructive engagement with one of the greatest environmental challenges of our time. Because the carbon farm planning process is broadly conceptual rather than prescriptive, we anticipate an iterative dialogue with growers and foresters that creates ongoing innovation and novel approaches to the process as we move forward with scaling the work. RCDs around the state have begun creating and implementing Carbon Farm Plans in partnership with the Carbon Cycle Institute (CCI). Many RCDs are at the cutting edge in developing and implementing pilot projects and creating programs to incentivize and provide technical assistance for carbon farming and healthy soils projects. The California Department of Food and Agriculture, CCI, and the USDA Natural Resources Conservation Service are core partners in these efforts. The programs are designed to assist the agencies in meeting their missions and current priorities while supporting farmers and ranchers with field evaluations, irrigation techniques, and a host of other practices that reduce carbon emissions,​ help farmers and ranchers meet their bottom line,​ and provide stewardship for their land while supporting a sustainable and productive agricultural economy. Scaling up to the statewide level, CARCD has been building momentum and developing potential funding opportunities and partnerships related to soil health and greenhouse gas emissions reductions. To date, RCDs in collaboration with CCI have produced more than 30 Carbon Farm Plans working with farmers and ranchers across the state covering over 34,000 acres, and are actively exploring the next steps of implementation.